Best experienced with: Click here to start. Our office hours are Monday thru Thursday, 8 to 4:50 east coast time. We are out of the office occasionally looking at collections or attending gun shows, so you may want to call first if coming in from out of town to make sure we'll be here. The new book from author Gurney Brown will be available for shipment in mid-late March 2018. 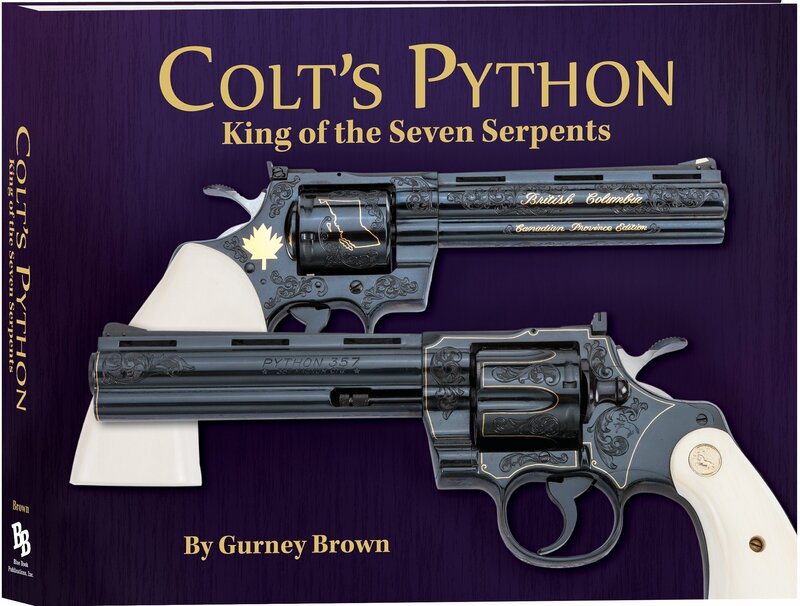 This new tome has more than 300 pages of information and more than 400 images of Colt's fabulous Python model, including guns, grips, boxes and display cases, catalog pages, factory price lists and more. The most up-to-date serial number information ever published on Pythons is also included as well as the Colt Archive Factory Letter for each gun depicted. If you are a fan of the Colt Python, this reference is a "must" addition to your firearms library. Mr. Brown will autograph your personal copy on request. Now in it's 5th printing! 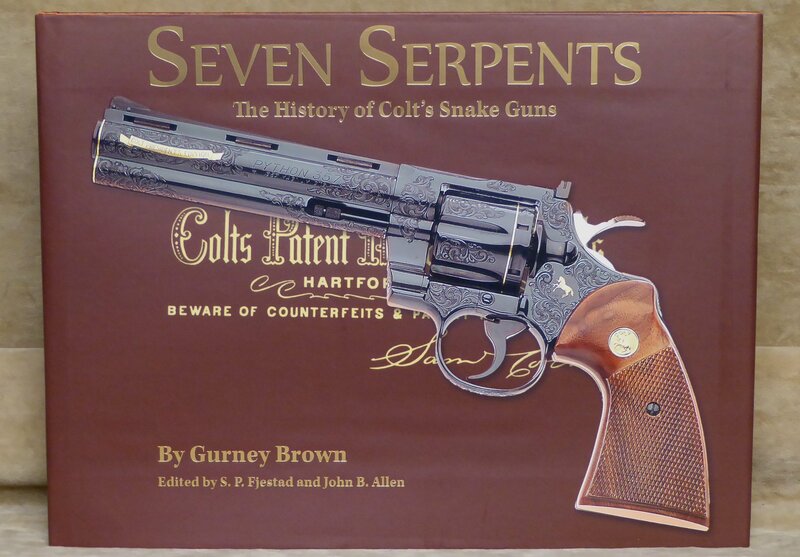 New book by Cherry's Vice President Gurney Brown, covering all aspects of Colt's Seven "Snake" Guns. 344 pages with more than 350 high resolution photographs. Only book of it's kind and certain to be an invaluable reference to all Colt Snake collectors. No Colt library is complete without this new book. Includes information on each "Snake" gun, boxes, manuals, serial numbers, production codes, and LOADS of other previously unpublished information. Large landscape format (12 1/2"x9 1/4"). Get yours now! Personalized autograph on request. Will we buy your used guns...? You Bet! All photos, firearms graphics, ad copy (including the Cherry's logo) and the Cherry's Complete Commemorative Gun List are the property of Cherry's Sporting Goods, Inc. and may not be used for any purpose except personal reference without express permission.